Fall is here and winter is just around the corner! The air has a bite, the leaves are falling, and we’re all finding ways to stay warm. Here are three tips to bring a little warmth to your interiors this season. Such an easy fix that instantly brings an inviting feel to your space. When selecting pillows, mix fabrics and patterns. The combination of different textures and colors against neutral furniture adds that extra layer of interest. Couple that with an oversized throw and you’re ready to sit back and relax with a hot cup of coffee or hot chocolate. As winter sets in and the green of the outdoors begins to fade, it’s the perfect time to bring a little bit of that green indoors. 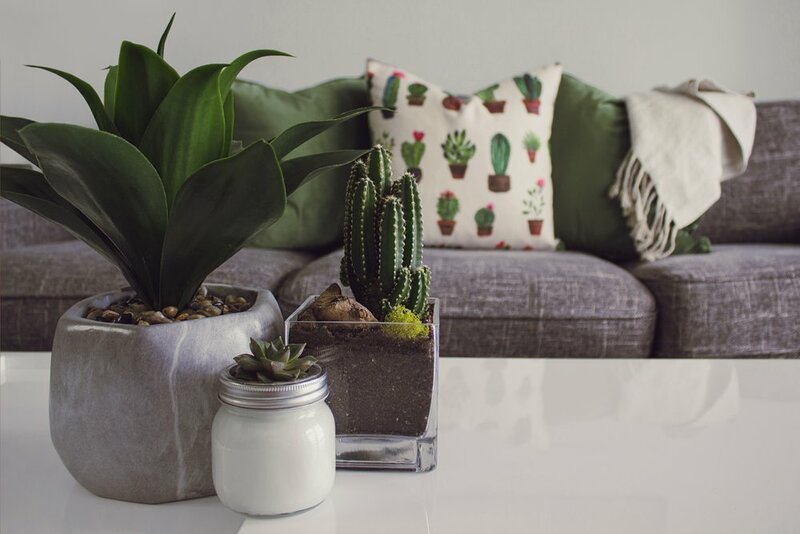 Cacti, succulents, umbrella trees, rabbit ears, and philodendrons are just a few low maintenance plants that can breathe a little warmth to your home or office… and these plants offer the added benefit of improving your air quality! Not much of a green thumb? 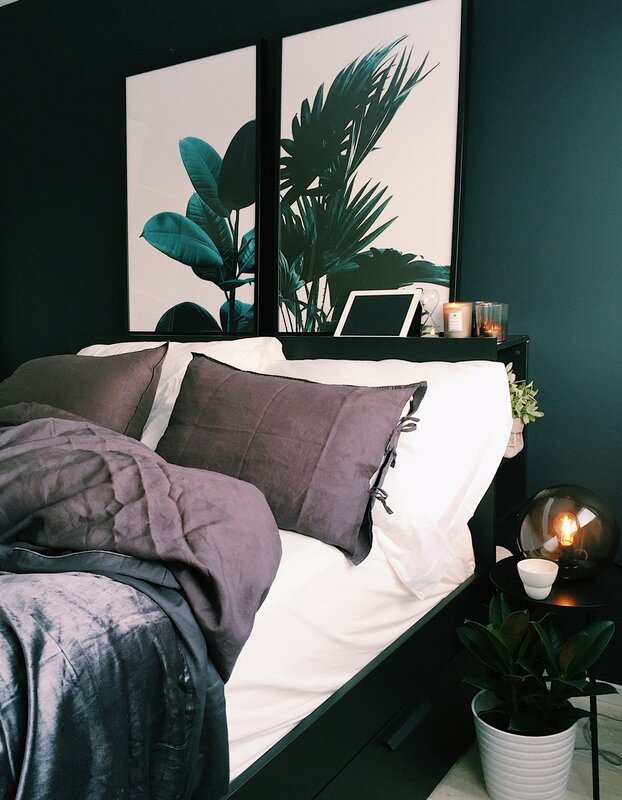 Exchange those live plants for botanical prints – be it artwork, wallpaper, or fabric prints. Layered lighting is great for any space, any time of year, but especially during those winter months when the days get shorter and daylight begins to fade. Add a couple table lamps, wall sconces, or a floor lamp to your overhead lighting. Open up your blinds and window treatments and let some of that natural light filter in. Not only does it instantly soften the appearance of the room, but it allows more heat to penetrate the space, adding a cost savings to your heating bill.